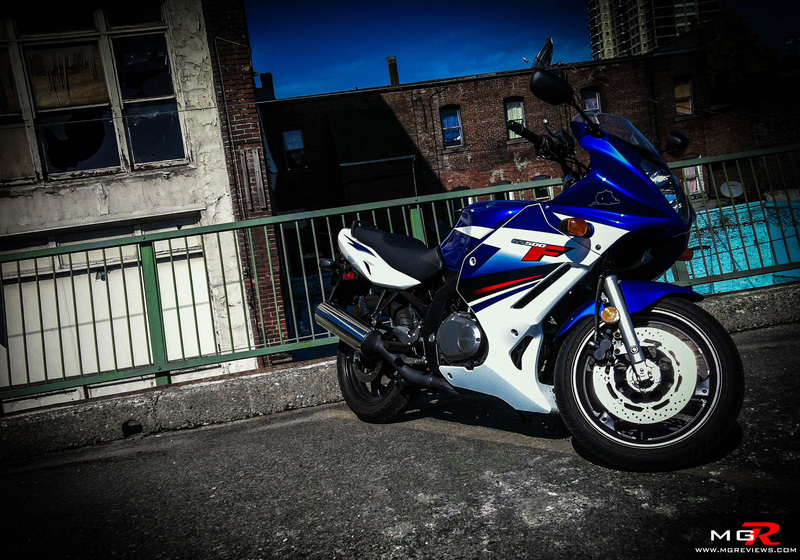 This is Suzuki’s entry level bike in the sport category and it also happens to be the first bike I’ve ever owned. Performance – This being an entry level “superbike” it has entry level performance. In terms of power, the parallel twin engine is nowhere near the GSXR600 but this bike is also nowhere near the 250cc bikes that Kawasaki and Honda offer, and obviously it’s much more of a motorcycle than the glorified bicycle called the Honda CBR 125. The power, and more importantly torque, curves are very smooth from around 3000rpm to its redline of 11,000rpm which means that around a busy city like Vancouver, you don’t have to rev the heck out of the engine when accelerating from the stop lights. The bike weighs at around 200kg and it has a very light feel to it. It doesn’t feel like it weighs 200kg and as a result it is an excellent handling bike that requires very minimal input or corrections midway through a corner. The brakes unfortunately are a bit of a disappointment, they are adequate for the bike around a city but for country riding I believe this bike would benefit greatly from dual front discs rather than a single front disc brake. Comfort – The GS500F is technically classified as a sport touring bike so the riding position is not as low down as a superbike but instead it’s more upright thus reducing the amount of weight being put on your wrists. 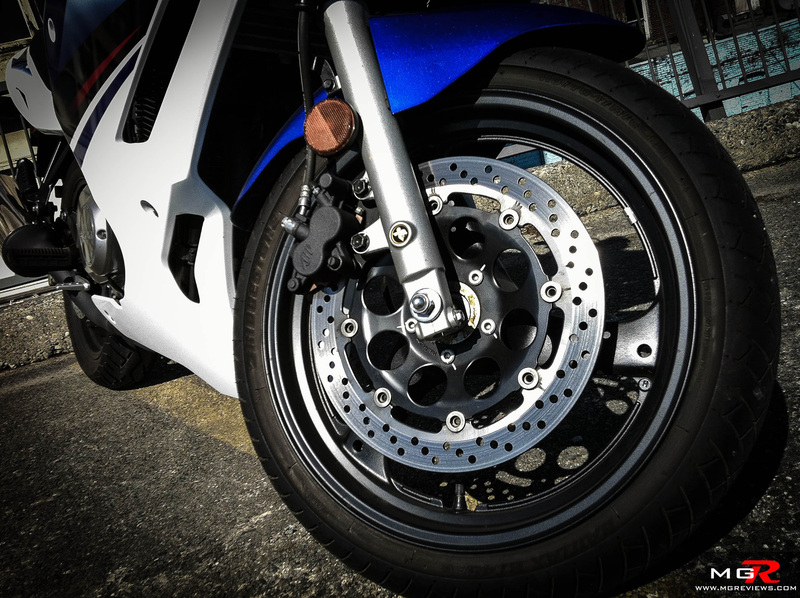 Because of this position, the bike is very good on long road trips or in rush hour traffic and the addition of the fairings provide much better protection from the wind than the naked version of this bike. However my beef with this bike is that the parallel twin engine does vibrate a lot and those vibrations can be felt in the handlebars. So after about an hour of riding and holding onto what feels like a pair of vibrating dildos, my hands do get a bit numb from the vibrations. Odds and Ends – The bike is air cooled and carbureted but I’ve never had any problems with over heating or any other mechanical issue. Surprisingly the styling grew on me and I think it looks better than the Gixxers from the same years but that’s just my opinion. 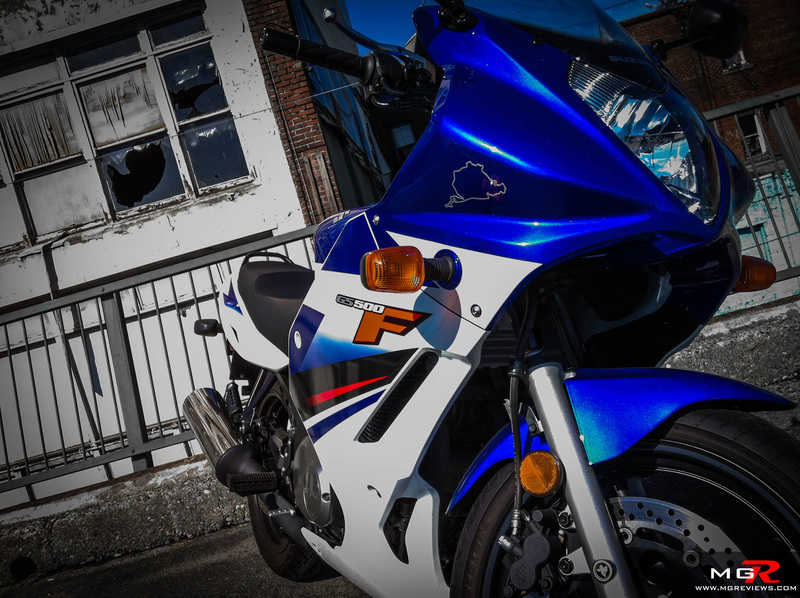 This bike is perfect for beginners to motorcycles and for those that want a bit more grunt than a 250cc bike offers. This bike offers both good relative performance and excellent comfort and this is why I decided to buy it as my first bike.